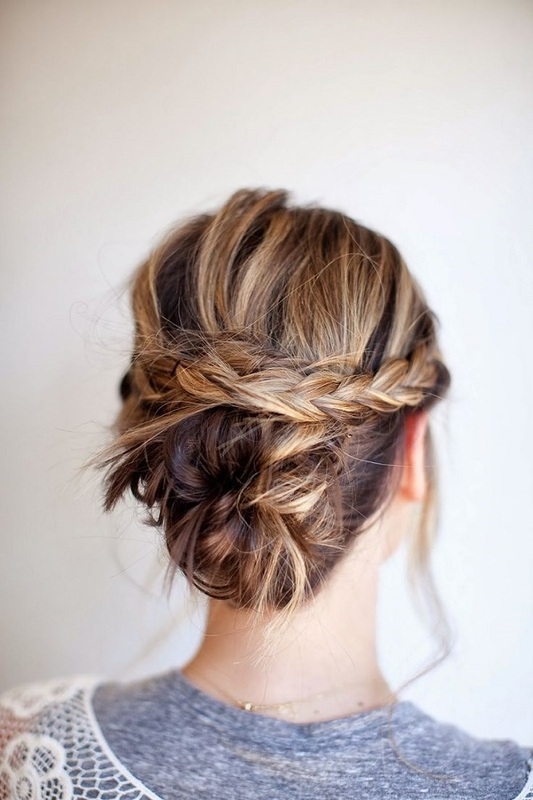 exPress-o: Autumn Hair: Messy bun with braided band. What's your hairdo of choice this autumn? A ponytail, a messy bun or a braid? Over the (rainy and cold) weekend I tried this messy bun with a braided band and I'm officially calling it the perfect cold weather hairdo. The best part about it is that it stays looking great whether you wear a hood over it or if the wind wants to blow you away. It's one of those dos that looks better the longer you wear it. Would you try it? This is how I did it: leave two chunks of hair on each side of your head and tie the rest in a messy bun. 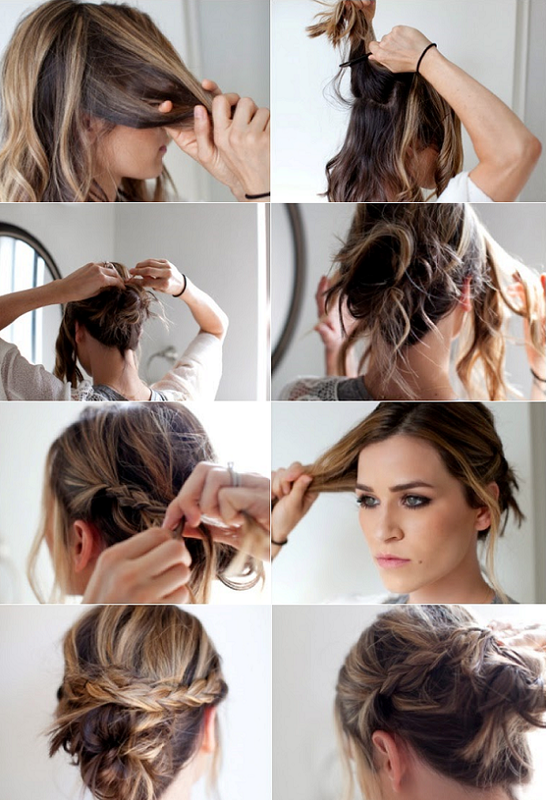 Next, braid each side and pin them both in the back, just above the bun. Ta dah! (Here is the more exact how to). 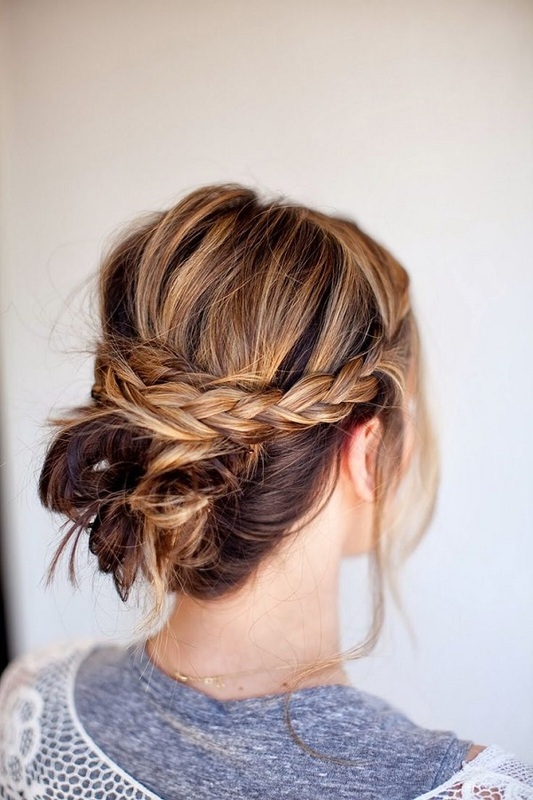 P.S: Plus, the stunning halo braid. P.P.S: How to do a double knot updo. Awesome, I dabble in braids sometimes, but I can never get them to be this pretty!